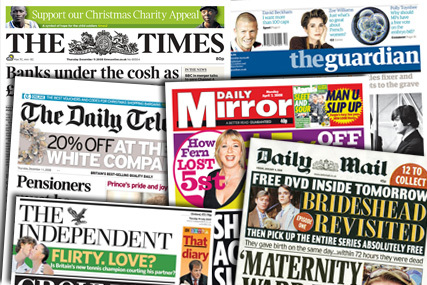 LONDON - Dawson Holdings has lost its newspaper distribution contract with Trinity Mirror, worth £65m a year, as it announced plans to close its entire magazine and newspaper distribution operation following the loss of several high-profile contracts. The loss of the Trinity Mirror contract follows the disclosure yesterday (May 28) by Dawson Holdings that it is set to move out of the news distribution market. The loss of the Trinity Mirror contract follows the company's previous announcement that it is set to lose contracts with Telegraph Media Group, worth £52m, News International's £81m-a-year deal and an £84m contract with Associated Newspapers. It is also set to lose magazine contracts with Comag, the joint venture between Natmags and Condé Nast, valued at around £55m, and a contract with Seymour Distribution, the joint venture between Frontline and Dennis Publishing. In today's announcement, the company said the contract with Trinity Mirror would not be renewed when it expires in October 2009. Nigel Freer, Dawson Holdings chairman, said: "To achieve the preservation of value, we are taking a number of actions: an orderly run-down of the remaining contracts in [Dawson] News, as profitably and cash-generatively as possible." Will publishers pay the price for duopoly?